Sharon Lalonde has been creating since a very early age, using all forms of artistic expression. She earned a Fine Arts degree from the University of Saskachewan, with a major in photography. This was followed by a Bachelor of Education and a Master's of Educational Psychology from the University of Calgary. Sharon began her education career teaching art, followed by thirty three years as a counsellor. During that time, she devoted her creative energy to designing costumes for theatrical productions. Since moving to the Comox Valley in British Columbia in 2012, she has been able to immerse herself in painting. This includes tremendous opportunities to learn from very talented and generous artists on Vancouver Island. The medium she chooses, is acrylic on canvas. She loves the challenge of representing the energy of the light through trees, the movement of the leaves or the life of the image she is painting. The success of the work is measured by the degree to which the viewer experiences a sense of energy and emotion from the painting. The uniqueness of the art she produce is her challenge. Sharon strives to make statements about the world in a way that has not been said before and that part of her process is continually evolving. She is inspired by the amazing beauty of Vancouver Island, the vast talent that surrounds her and the infinite possibilities for expression. Sharon's paintings have been shown at the Pearl Ellis Gallery in Comox, the Comox Valley Art Gallery in Courtenay, the Filberg Lodge, in Courtenay as well as several commercial settings. Her work is in the collections of many homes in Western Canada. 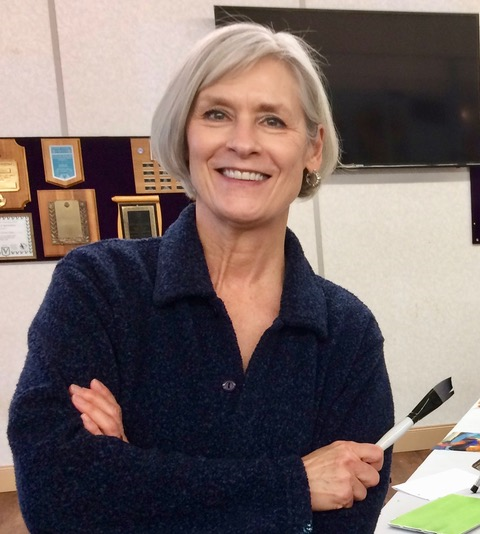 In addition to painting, Sharon is committed to supporting the community and the arts in the Comox Valley by donating paintings to the Transition Society, the Hospice Society, L'Arche and by serving as a board member on the Comox Valley Arts Council. I respectfully acknowledge that I live, work and play within the traditional territory of the K'ómoks Nation.